So how cold is cold? 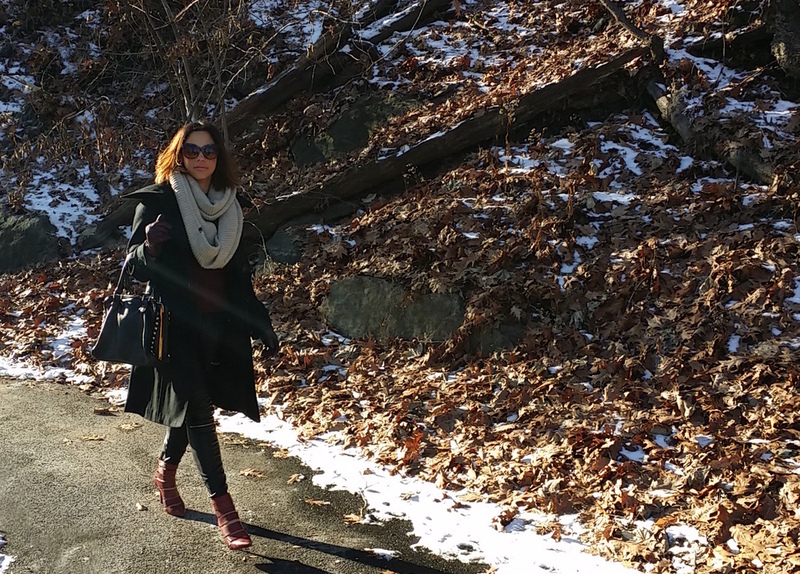 It is extremely cold -_- But out to brunch with my boyfriend and snapped a few photos of my outfit. As if today could not be any longer. The sun this morning had everything feeling ever so warm until it began to drop right after we took these photos today. 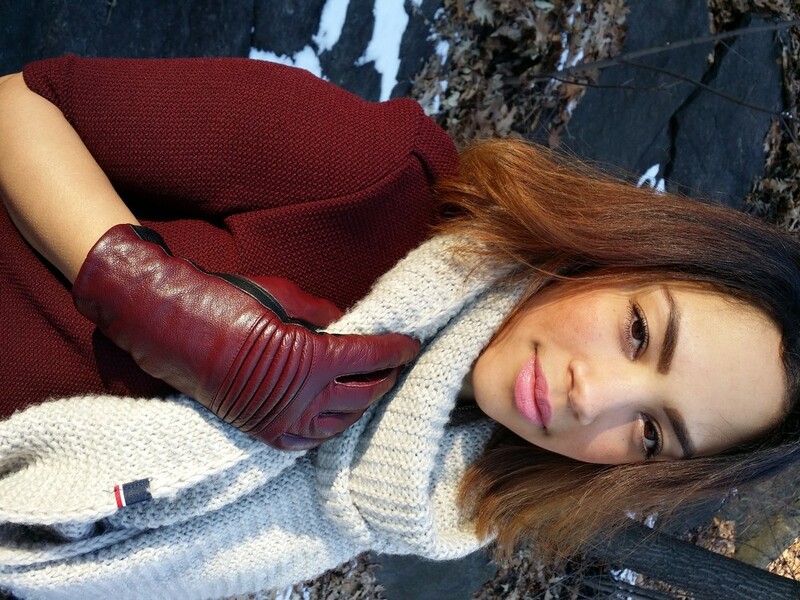 Burgundy color has become one of my favorites for this winter season just because how great it looks on my skin. It is very similar to the color of my last post of Wicked Lime Crime. That blood red almost brown look has really caught on for this winter with its sad gloomy weather. The boots have definitely become a staple item to me as i have already worn them a few times with how comfortable they are. The heel is not so high and just the right length, along with the soft leather strapping around my foot just making it all feel warm. I love and have adored how they look along with my Leather Trousers and how I can simply just tuck in the pants into my shoes without any bother. My mother and I have been the same size for many many years (its like she never grows lol) and we share our coats. This particularly is one of my mothers vintage Guess style coat which has also become a staple in my closet. Well as the night comes to close, stay all warm and thanks for visiting.